Having regained the independence in 1918 initiated an intensive process of rebuilding the administration of the Polish state and the national economy. Undoubtedly, the need to integrate and modernize agriculture was one of the main economic challenges. Conducting an effective agricultural policy required the creation of a system in order to observe the results of strongly diversified farms. To that end, in 1926 an agricultural accountancy system was implemented, the main purpose of which was to provide a situation about the results of individual farms for the purposes of agricultural policy and scientific research. At the same time, the collected information was used to improve the production and the economic results of agricultural holdings as well as to promote accountancy in the farmers’ environment. 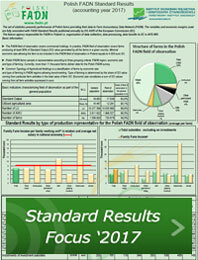 In the first period of the system’s functioning, data obtained from farms were developed in the National Research Institute of Life Sciences in Puławy. 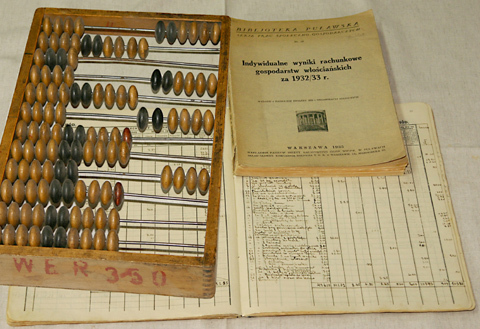 During the Second World War, the data collected within the system served the disinformation of the occupant, and a few farms secretly kept reliable accountancy records. After the end of the Second World War, the system coordinator was taken over by the Institute of Agricultural Economics with its headquarters in Warsaw. Despite the pressure to collectivize agriculture within the centrally-planned economy, the analyses based on data collected from farms constantly pointed to the efficiency of individual farming. In this period, agricultural accountancy, along with stimulating the economic development, also served to protect the basic rights of farmers in Poland. Socio-economic changes initiated at the end of the 20th century forced the reorganization of the agricultural accountancy network. Although methodological solutions developed by decades did not deviate from global standards in the conditions of economic transformation, it was necessary to limit the number of the kept accountancy books. Nevertheless, the demand for information about the results of farms has increased, especially with the negotiation of the terms of EU accession. Accountancy data has become the main source of information on the results of farms in Poland with the possibility of comparison with the corresponding farms of other Member States. 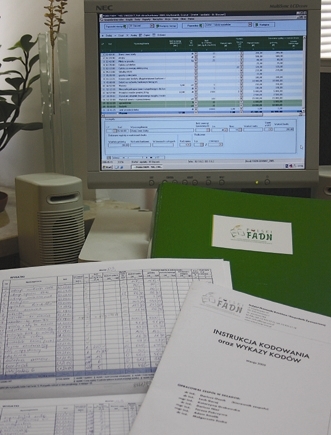 The high quality of data collected in the farm accountancy system has often played a decisive role in argumentation for development programs for agriculture in Poland. Nearly 100 years of agricultural accountancy experience in supporting the agricultural development processes in Poland have been integrated with the European Farm Accountancy Data Network. Thus, the idea of ​​a network of farms aimed at supporting development processes of agriculture, including the interests of farmers in Poland, has also become part of the network for the developme European agriculture.